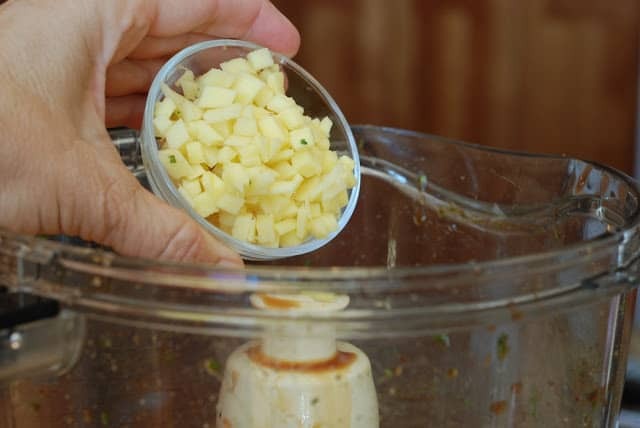 It has been so dang (Utah word) hot that I find myself preparing cooler meals that are light and refreshing. 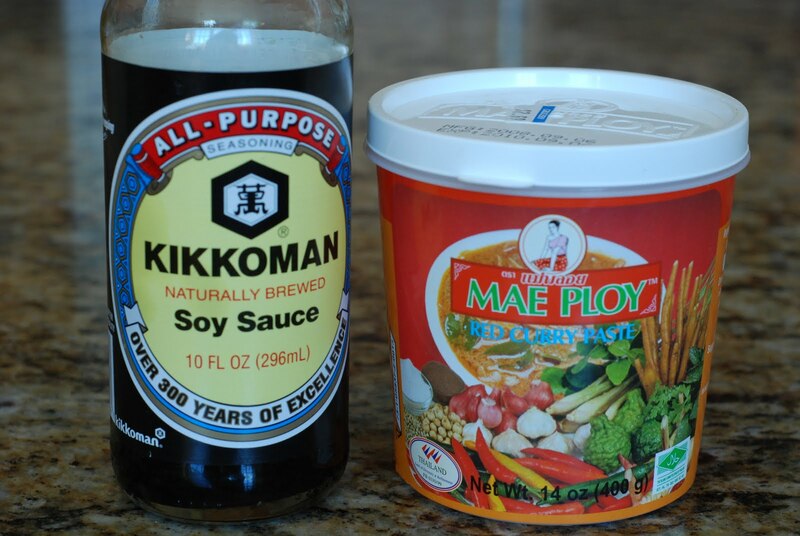 My family is rather fond of the Asian flavors. I found this recipe for Thai Chicken Wraps a few years ago in a Cuinsine at Home magazine. If you are looking for a cooking magazine, I highly recommend it. No advertisements! 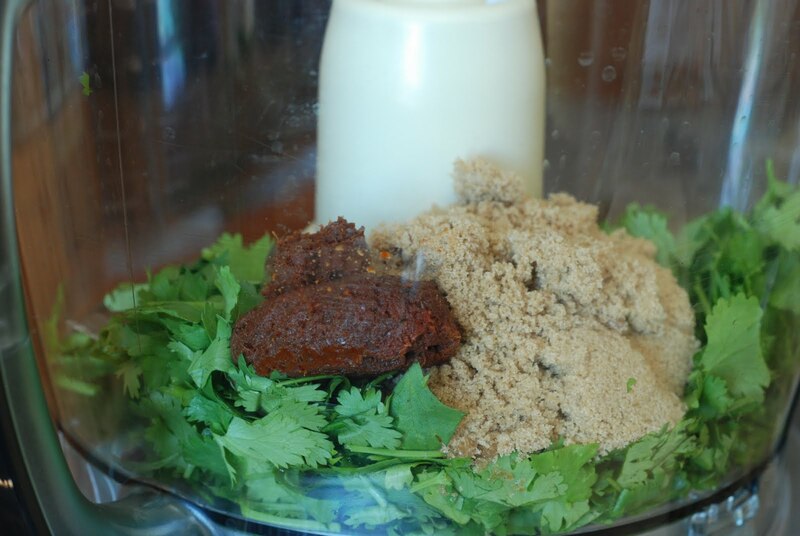 Just recipes that are great for the “fam”. 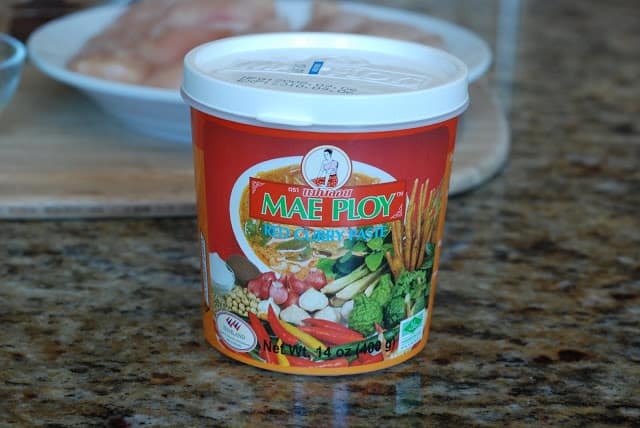 One product you are going to need is red curry paste. You should be able to find it in the Asain section of your grocery store. There are other brands out there. I purchased this Mae Ploy brand at an Asian market. it’s a pretty large container, but I’ll use it. It’s got a little heat to it, but not too bad. 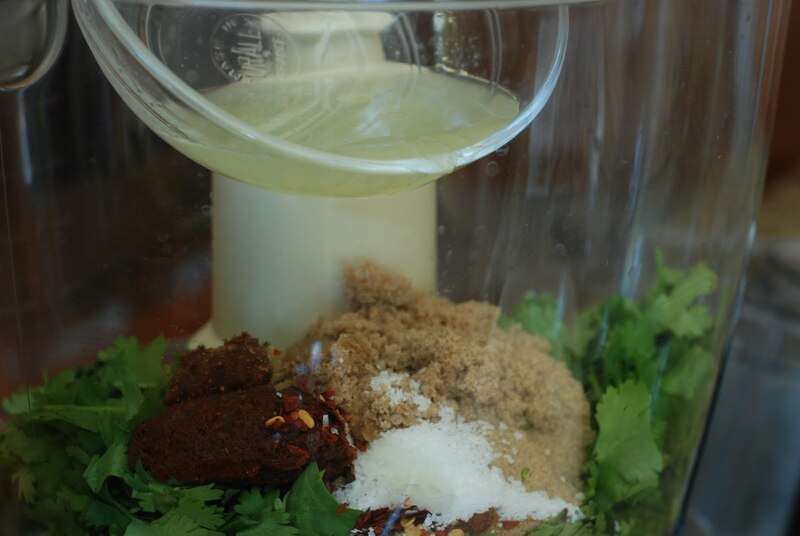 It adds great flavor to this recipe. Don’t skimp and leave it out. You’ll be sad. This is really quite simple to make. You will need about 2 lbs. 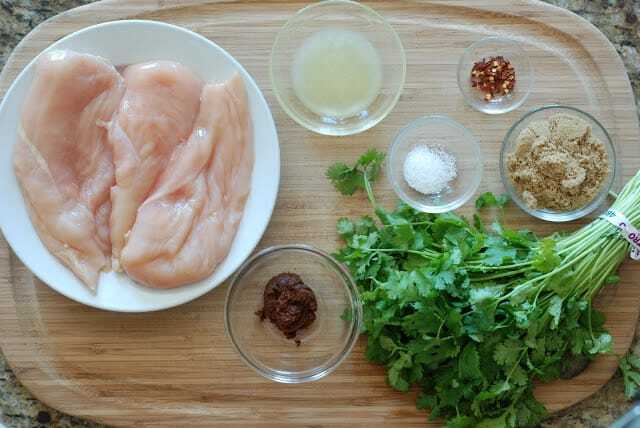 of boneless, skinless chicken breasts, red curry paste, fresh cilantro, fresh lime juice, red pepper flakes, brown sugar and salt. Cut the chicken breasts into 1/2-inch strips. Well maybe 1/2 to 3/4-inch thick. 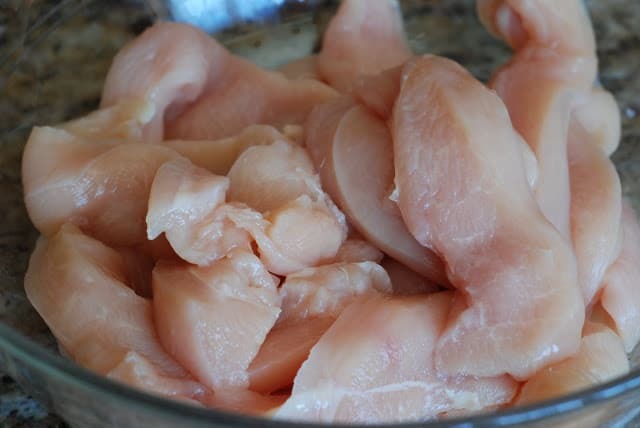 Put the chicken strips into a bowl or ziplock bag. Set it aside for a bit. 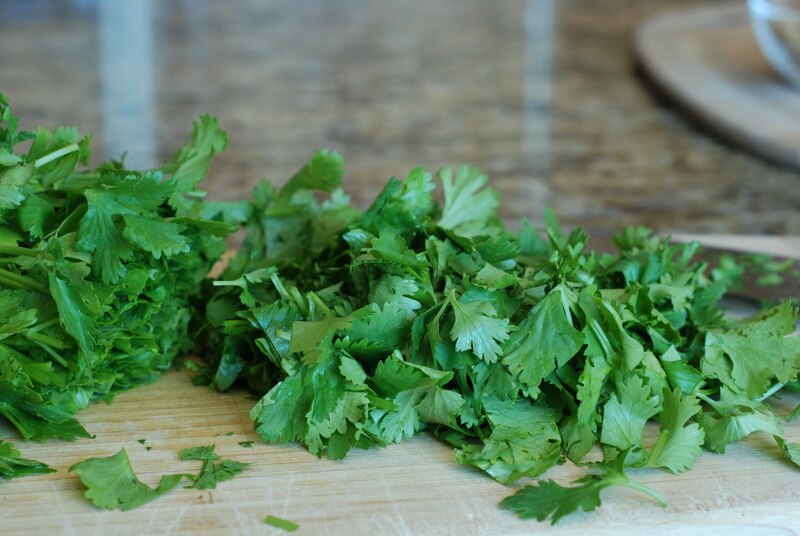 Roughly chop 1 cups of fresh cilantro. Put the cilantro into the bowl of the beautiful food processor that your husband bought you. 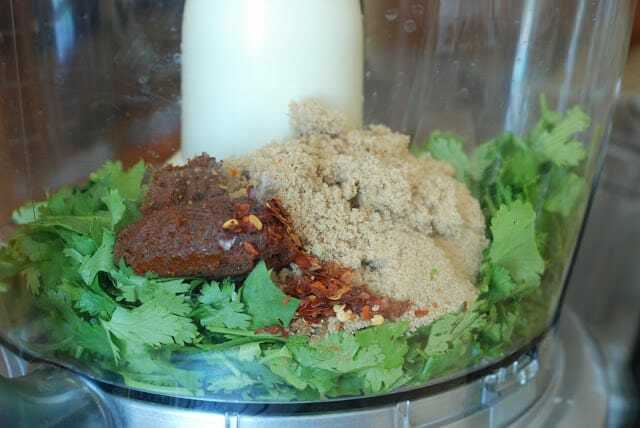 You know I have four Cuisinart food processors right now. They need to quit redesigning them. Because I HAVE to have the new and improved model. Let me tell you this is my favorite model so far…ya I know who cares. …and lime juice. 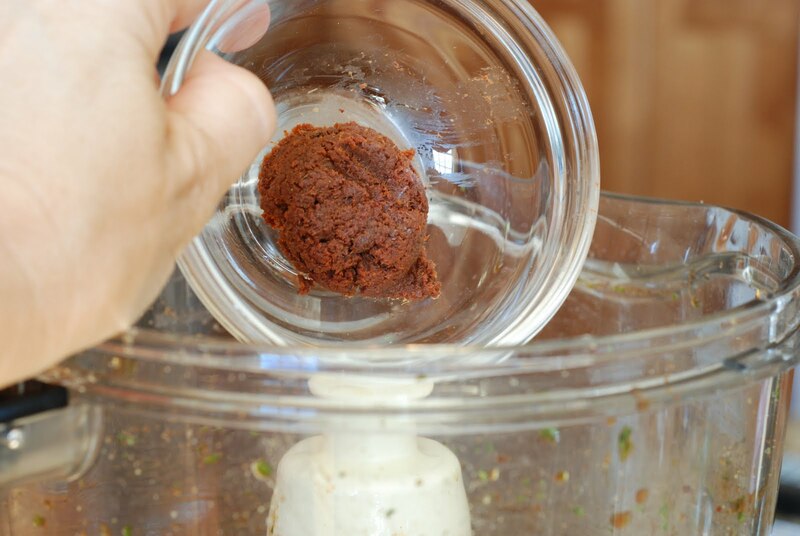 Now pulse it several times in the food processor. 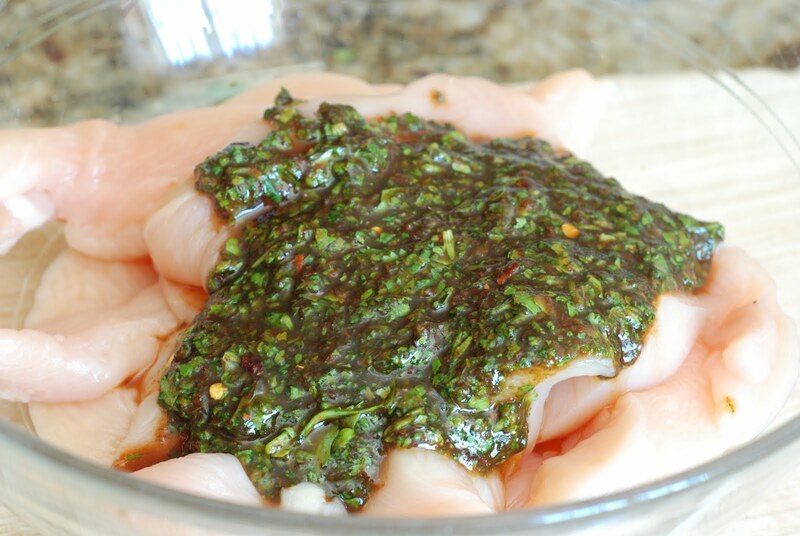 Pour the marinade over the chicken strips. 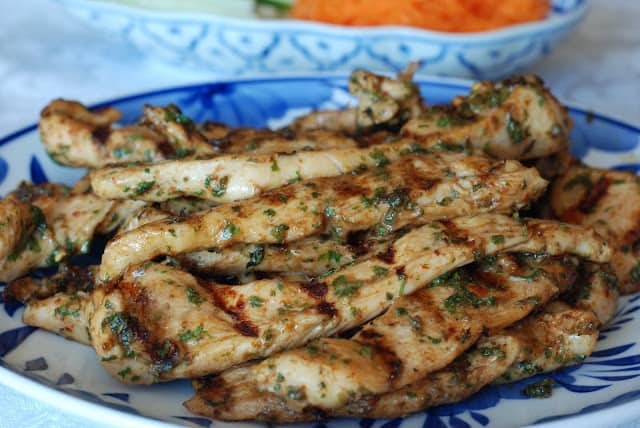 Toss the chicken with your hands to make sure you get all the chicken strips coated with the marinade. Cover with plastic wrap and refrigerate for at least 1/2 hour. 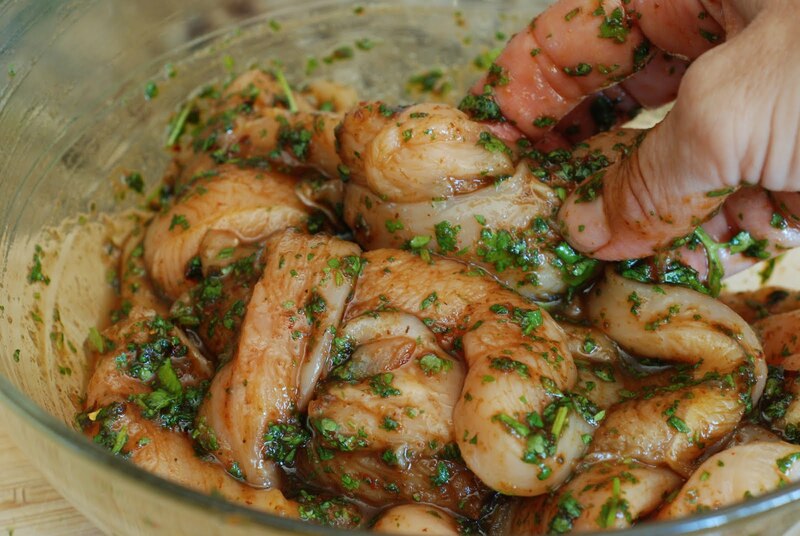 Because this has lime juice in it, I wouldn’t marinate overnight. 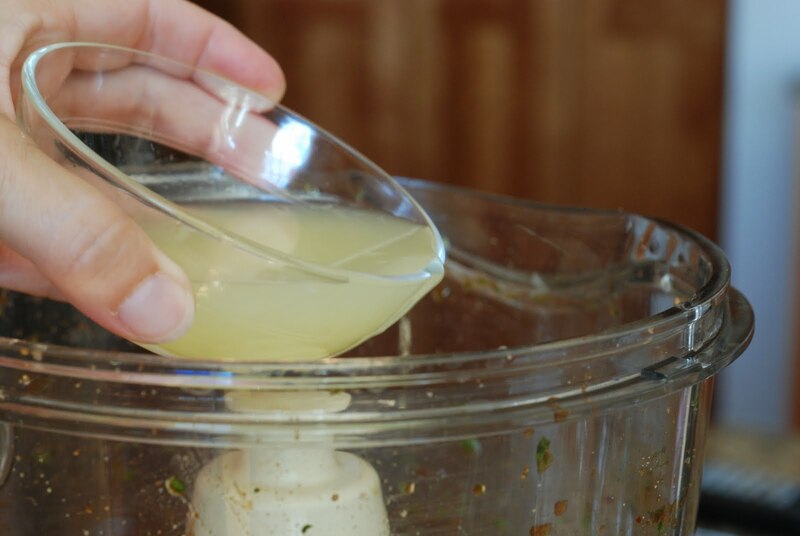 The lime juice will create a different texture. It begins to cook the chicken??? 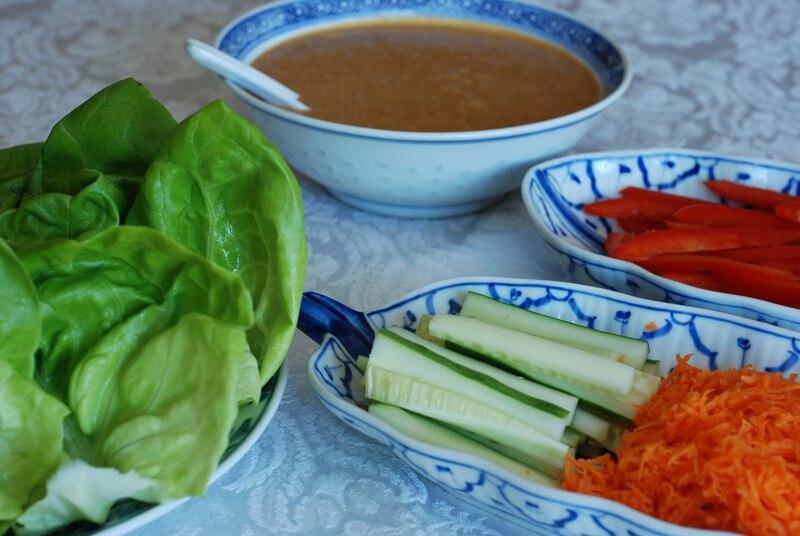 Now we are going to make the peanut sauce to drizzle over the wraps. 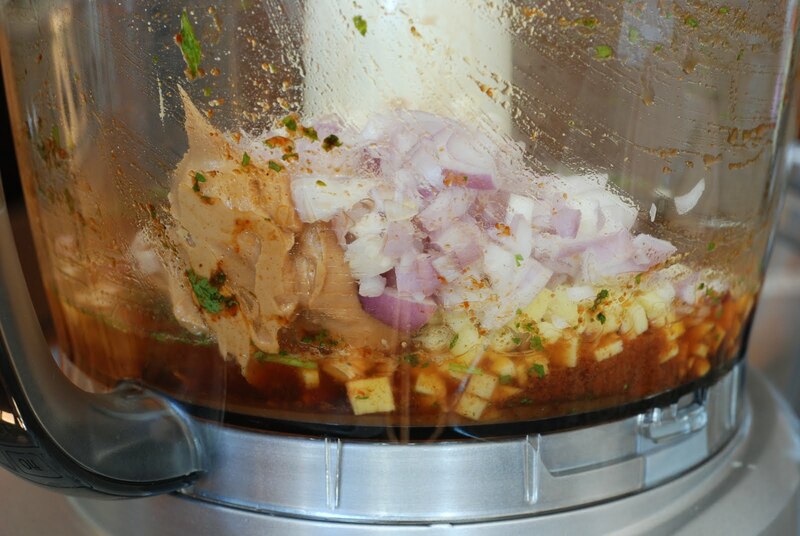 You will need soy sauce, water, shallots, red curry paste, peanut butter, brown sugar, lime juice, garlic and ginger. Here is a picture of the soy sauce and red curry paste again. Just in case you forgot. 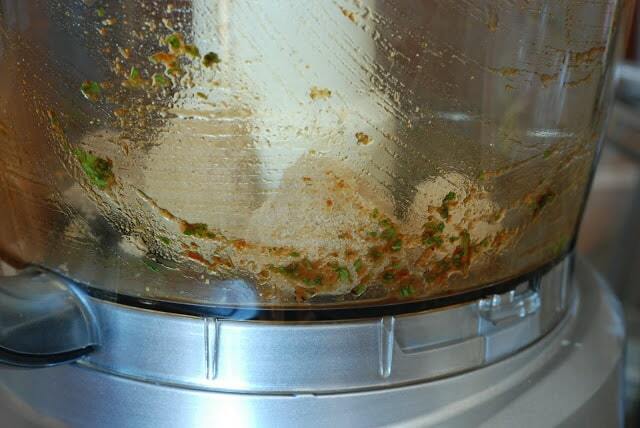 No need to wash the food processor bowl. We are going to just mix in the same bowl. 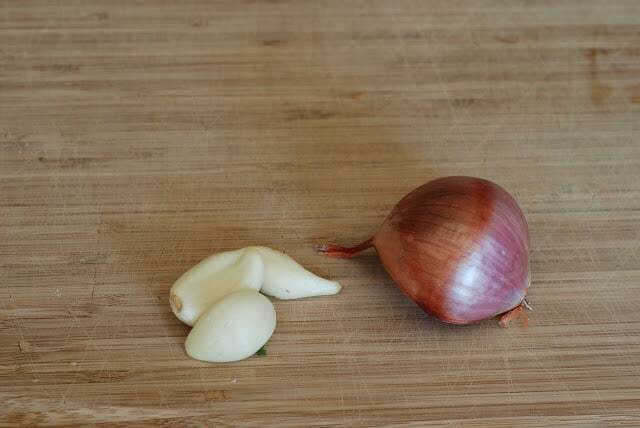 This is the garlic and shallot. 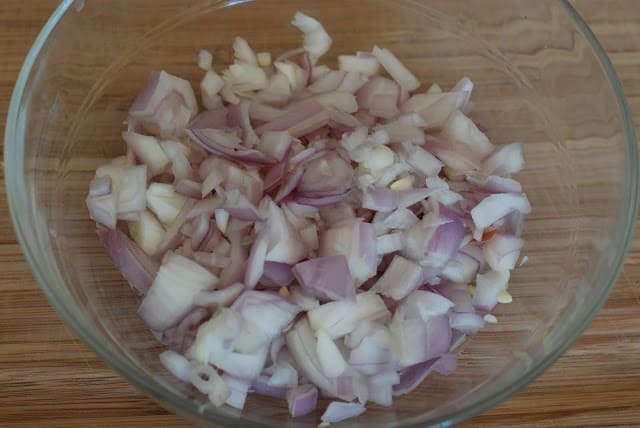 Shallots are purple in color. 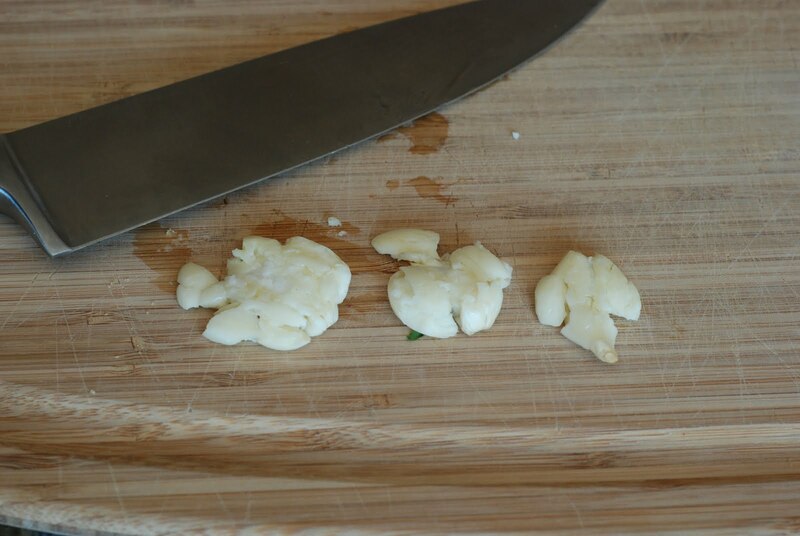 They are smaller than onions and larger than garlic. They have a onion/garlic flavor. 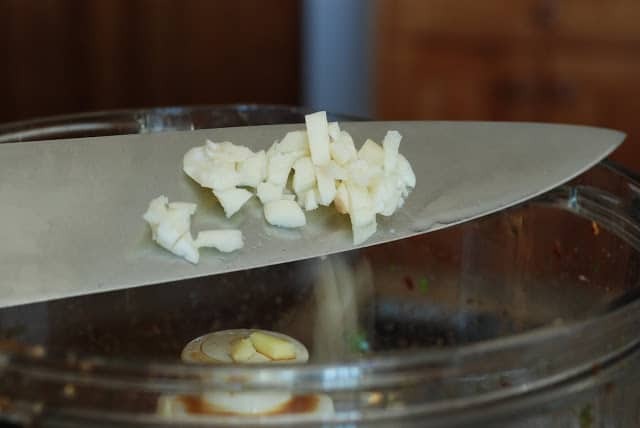 Smash the garlic with a knive. Oops, I forgot to add the shallots. Do that…now. Now you will need a head of bibb lettuce. 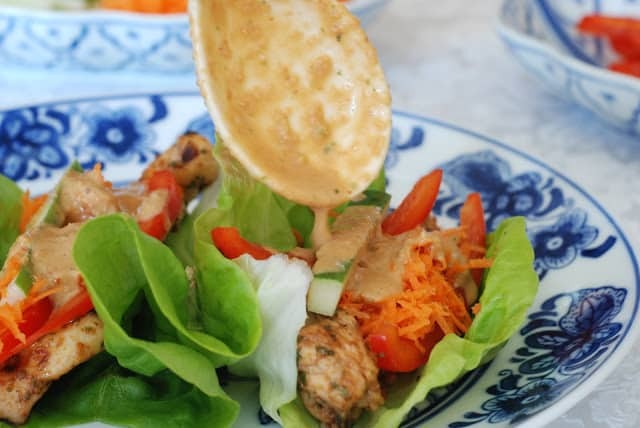 I like to use the bibb lettuce because it is soft and folds nicely around the chicken. You will, also, need a red pepper, a carrot and a cucumber. 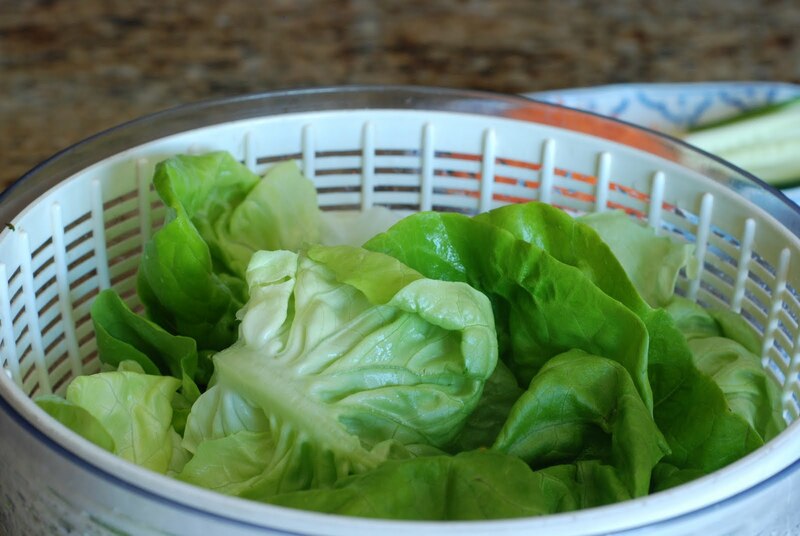 Wash the bibb lettuce. 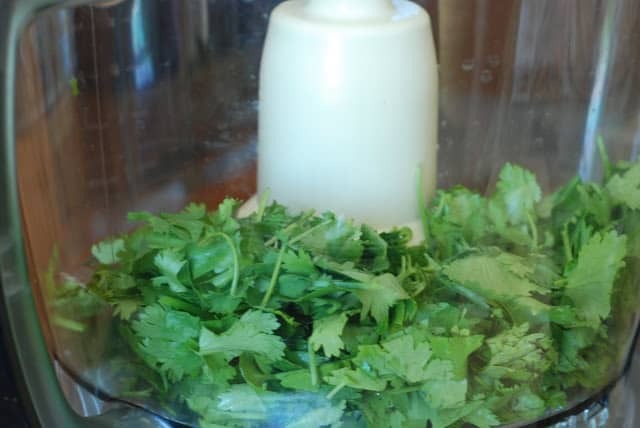 Spin it dry, if you have a salad spinner. Or just lay out on a towel to dry. Love the lettuce spinner. 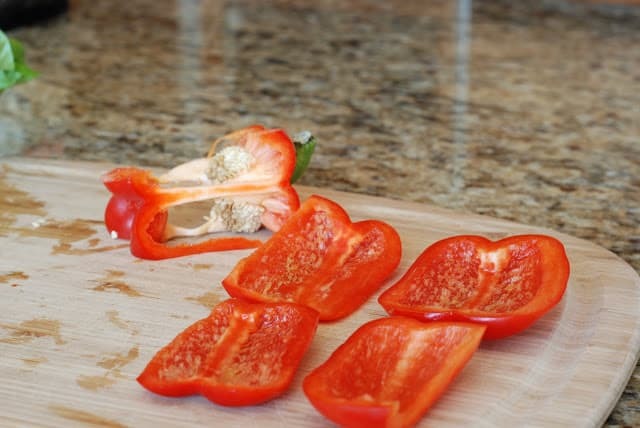 It sure makes my life a bit easier with all the greens I wash.
Slice the red pepper into strips. 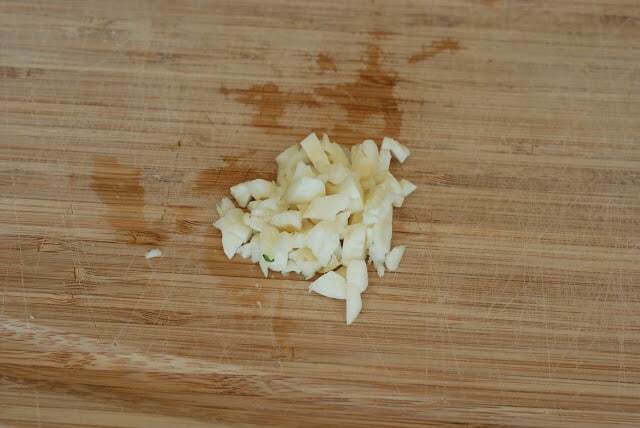 Somehow I forgot to take a picture of the pepper into strips. Ugh! You get it, right? 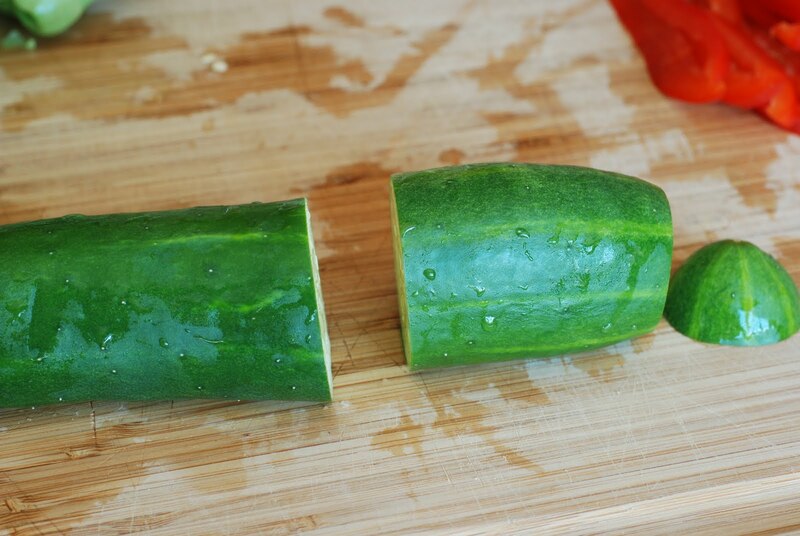 Now cut a 3-inch piece of the cucumber. 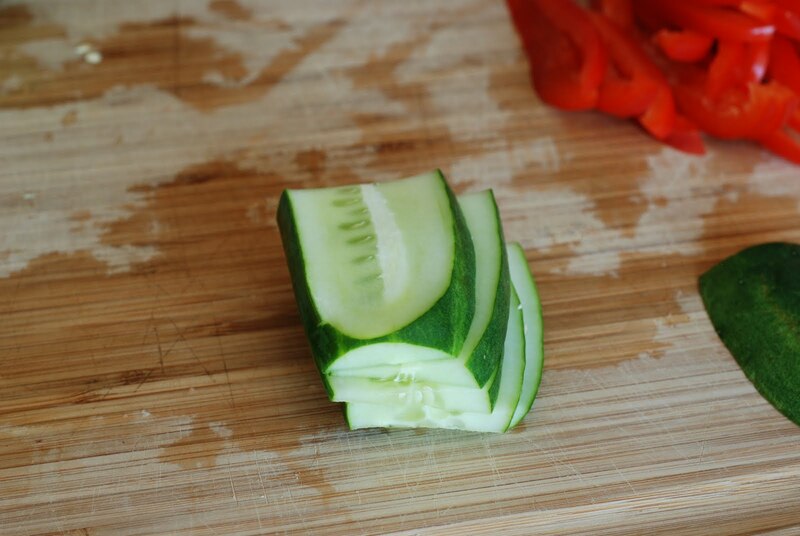 Cut the cucumber into slices horizontally. 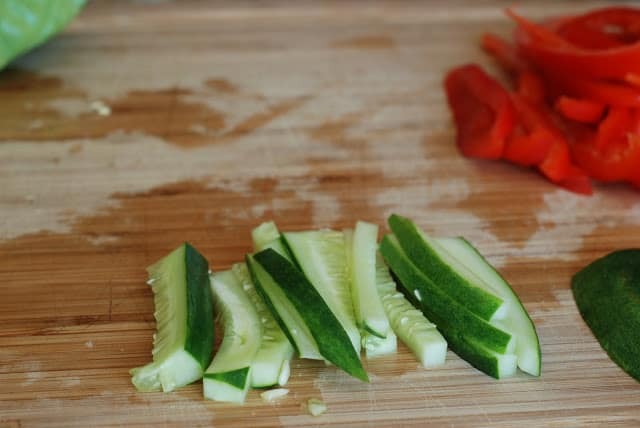 Now cut the cucumber into strips. 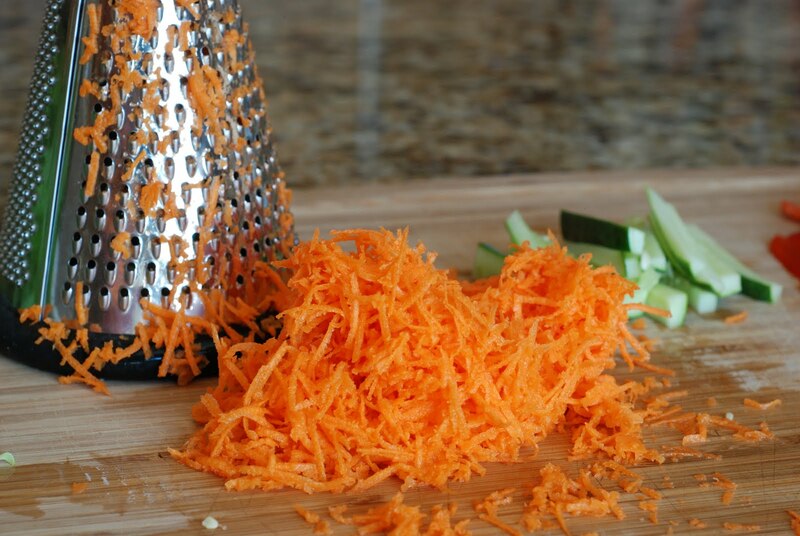 Finely shredd the peeled carrot. The fixings are now ready for the chicken wraps. 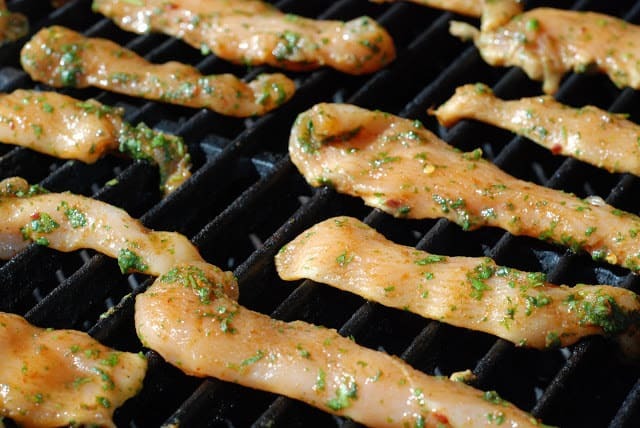 Now let’s grill the chicken strips. 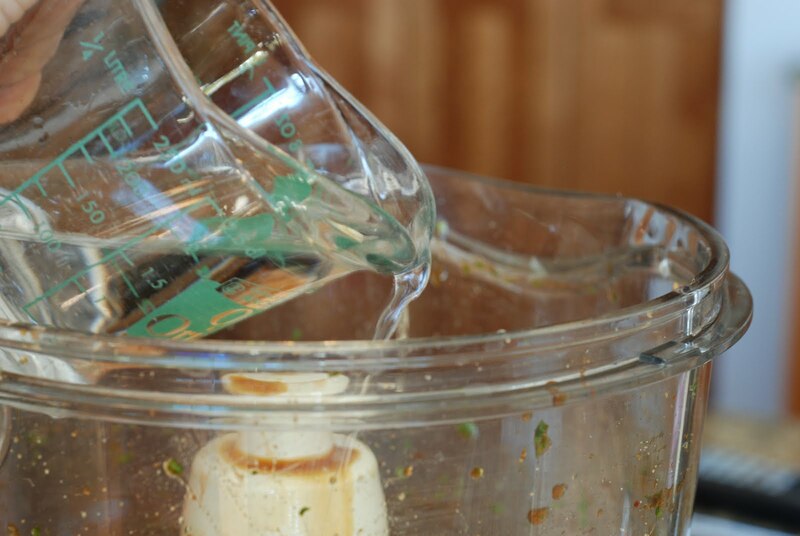 You can do this on a grill pan on your stove top or under your broiler. I grill year round, so you know what I’m doing. 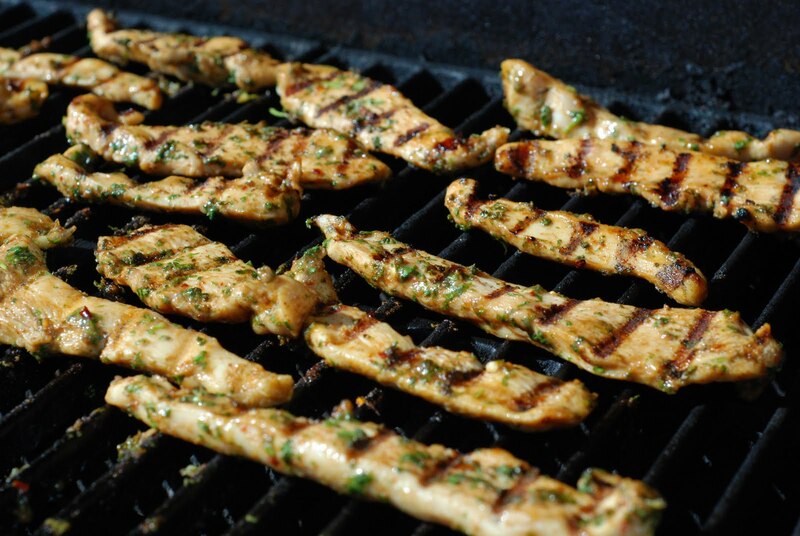 Place the strips of chicken on a hot grill. After about a minute and a half turn them over. It only takes a few minutes to grill the chicken strips. So don’t walk away for very long or they will be over cooked. Remove the chicken strips from the grill and place on a serving platter. 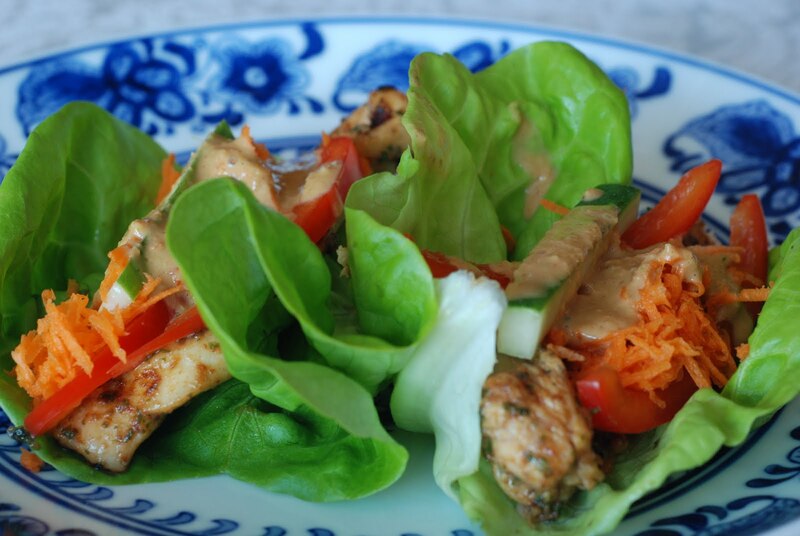 How to assemble the Thai Chicken Wraps: Take one of the bibb lettuce leaves and place a strip of chicken on it. Add red pepper strips, cucumber strips and shredded carrots. 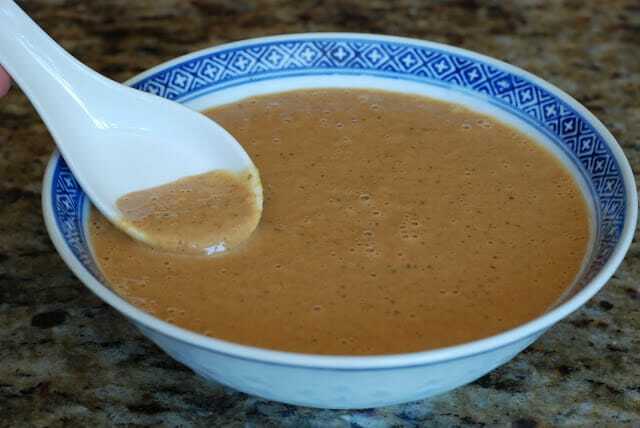 Top with the peanut sauce. Now eat. 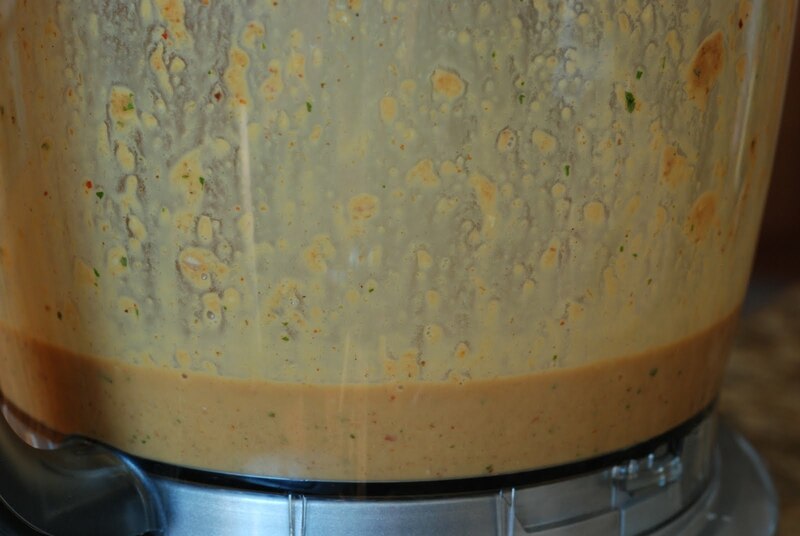 I like to drizzle on enough of the peanut sauce so that it runs down my arm and drips off of my elbow. 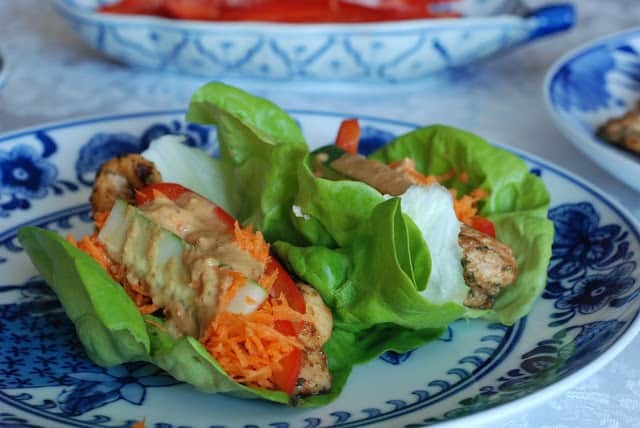 You can serve these wraps as an appetizer or a meal. We generally eat the Thai Chicken Wraps with potstickers. I will definitely share that recipe in the future. 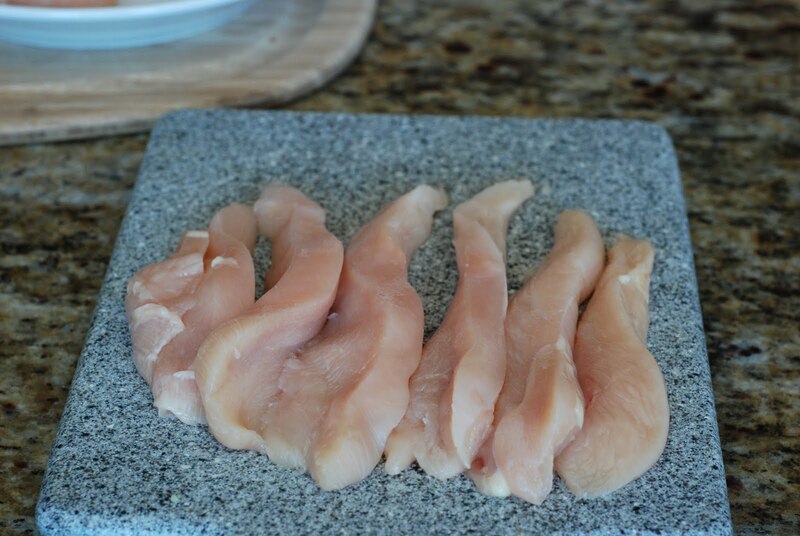 Cut chicken into 1-inch strips. 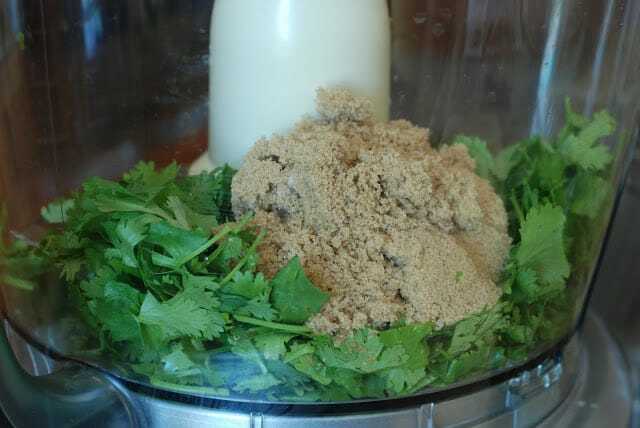 In the bowl of a food processor add cilantro, brown sugar, lime juice, red curry paste, pepper flakes and salt. Process until smooth. Pour over chicken , toss to coat, and marinate at least 30 minutes. 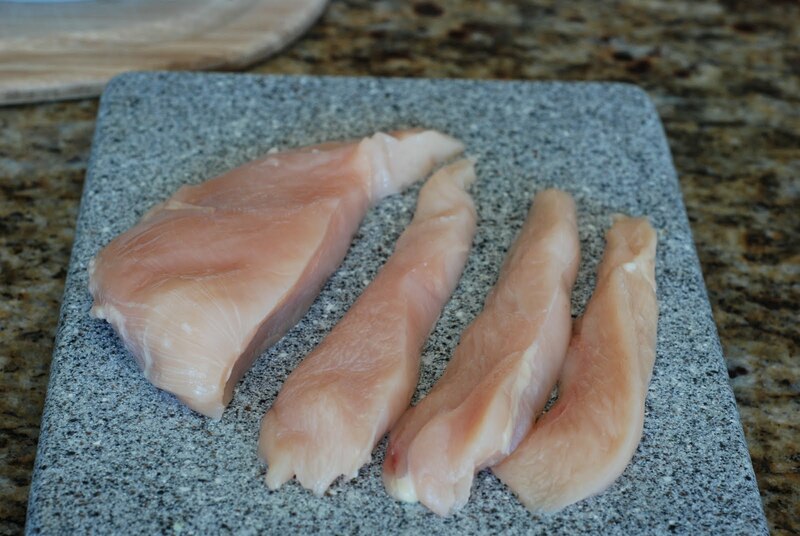 On a hot grill or griddle pad or oven broiler, cook chicken until browned and cooked through. About 4-6 minutes. 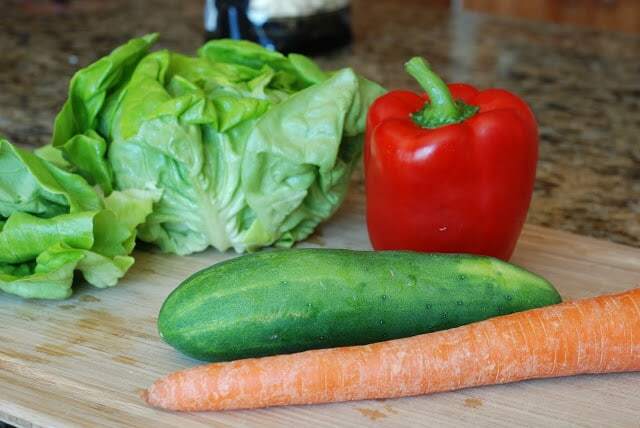 To serve, wrap a lettuce leaf around 2 strips of chicken, add bell pepper, shredded carrots, cucumber. Drizzle with sauce. Makes enough for 16 wraps. 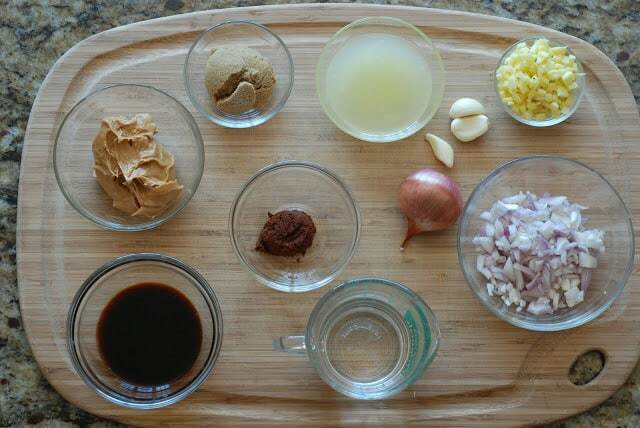 A perfect meal for my family would be Thai Chicken Wraps, Potstickers and Tempura with a variety of sauces. Served with steamed vegies and rice. We sit around the table and assemble our wraps, dip the potstickers and tempura in our favorite sauce and chat. Sometimes we chat for a couple of hours. This meal must be served with chop sticks, which the husband that never reads this blog refuses to use and always gets up from the table to get a fork!!! They are a great light summer meal. It takes a bit of advance prep, but once the chicken is grilled, it's time to eat. thank you for commenting. Thanks for keeping me on my toes, Geri. I corrected the recipe. I really appreciate my proof readers out there…really. Sure! 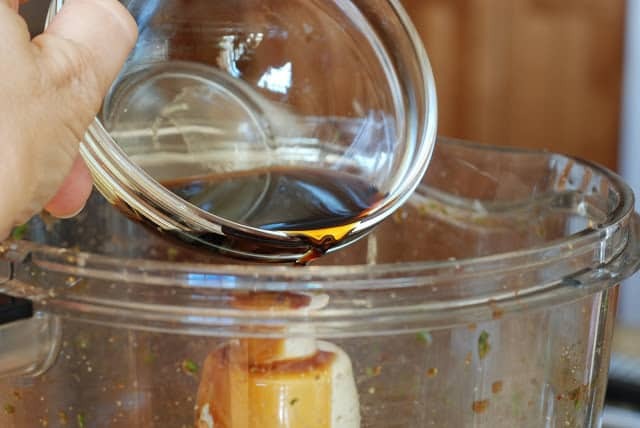 You can use white sugar, agave or even honey if you so choose. Or you can omit the sugar completely. 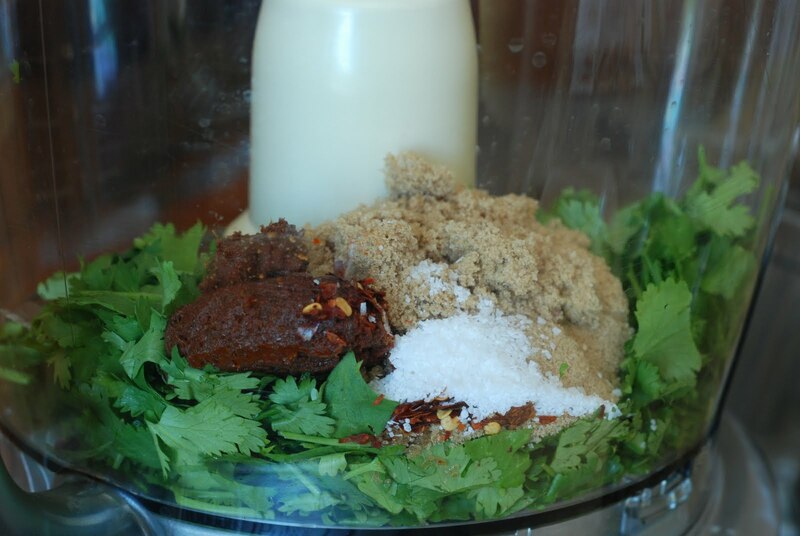 do we have to use brown sugar only? can we not switch it with white? Yep! Plain ole peanut butter…Skippy. Nothing special. 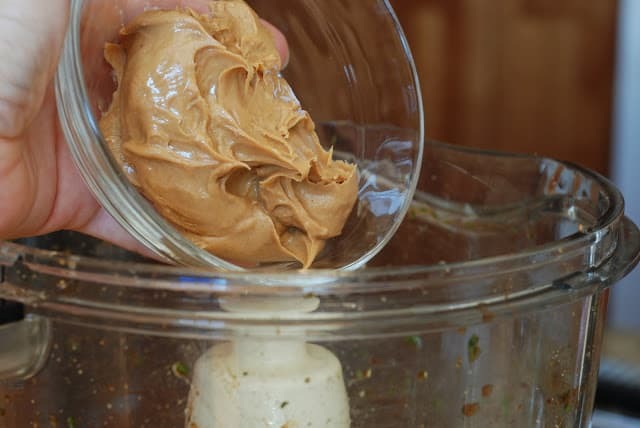 The peanut butter you mention- is it the normal peanut butter we get in the stores that we slather onto bread for midnight snacking? Or is it a different kind? Hahaha. I sent one to college with Tiff…I don't think she used it. Geeez! Thanks for the comment. I'm just always hungry! I'm so happy to have you follow my blog. That sound so yummy. I'm always hungry after I look at your blog. You're amazing!